This year’s Ubud Writers & Readers Festival promises to be as exciting as ever. 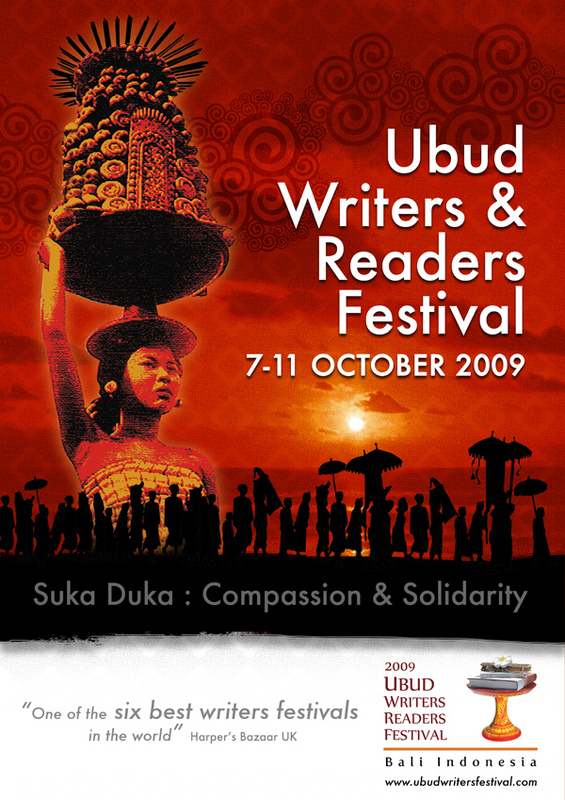 Our 2009 theme Suka-Duka: Compassion & Solidarity. Suka Duka is an ancient communal wisdom that for centuries has been one of the main pillars of Bali’s traditional institutions and communities. The principle has guided the members of the traditional institutions, such as banjar (neighbourhood organisations) and desa pakraman (customary villages), to act as one single entity in dealing with life’s hardships and blessings. The suffering of one member will be shouldered by all, while the joy of one will be shared by the other. The theme reflects the Festival’s commitment to turn this literary gathering into an inspiring moment, through which writers and readers from every corner of the world can establish a mutual understanding as well as a common platform to remind the world of the need to think and act as one single, compassionate entity, particularly during this epoch of violent conflicts and social turmoil. Linger over a literary lunch or candle-lit dinner in some of Ubud’s elegant hotels and gracious homes featuring our acclaimed writers and visiting chefs. Enjoy poetry under the shade of a Buddhist stupa and late night martinis and readings in one of Ubud’s legendary bars. Be dazzled by some of the finest performance poets in the region in grass-roofed venues surrounded by ricefields. Watch plays and theatre in Ubud’s temples set in frangipani and lotus gardens. Join workshops that teach the craft of writing, in between book launches, performances, exhibitions, cocktail parties and celebrations into the early hours of the morning. And if that is not enough, the 2009 Festival will take to the streets once again with a dazzling carnival of poetry and performance in one of Ubud’s charming laneways.